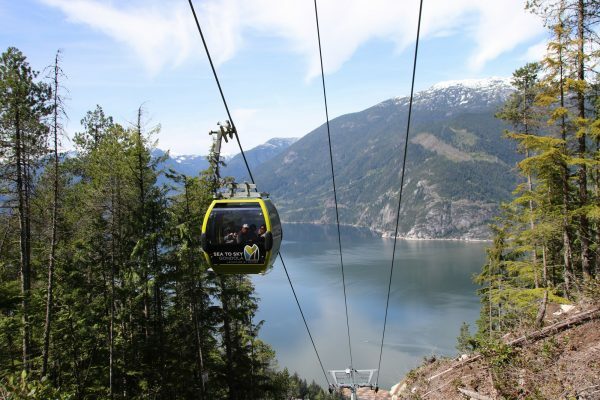 Those who regularly hike trails purely for fitness, such as the Grouse Grind or Sea To Summit Trail, will likely already have a pass to take the gondola back down. Other hikers may not realize some of the benefits of having a pass that extend beyond being a regular on the Grind or Sea To Summit. In addition, Whistler also offers a summer’s pass to access their alpine hiking trails on either Whistler Mountain or Blackcomb, most of which would be too long of a day to hike to from the village. We’ve gathered as much information as possible on the 3 passes you can buy, either with Grouse Mountain, The Sea To Sky Gondola in Squamish, or the Peak To Peak Pass in Whistler. The price, dates valid, additional discounts, and, of course, how often you plan to use the pass will not make for an easy decision. All 3 locations have some great back-country hiking trails that are worth exploring and having access to these areas via a gondola makes it possible to hike these trails. The Grouse Mountain Skyride provides a great view of the city. year-round movies in our Theatre in the Sky and more. The view from the top of Crown Mountain. If you’re a regular when it comes to doing the Grouse Grind or Snowshoe Grind, then this pass is an absolute must as it takes 13x of hiking the Grind before it’s paid off versus buying single tickets. However, one of the advantages to having the pass during the summer is being able to take the Skyride up and then explore some of the hiking trails in behind Grouse. There’s plenty of great hikes that are often not as busy as other local mountains. 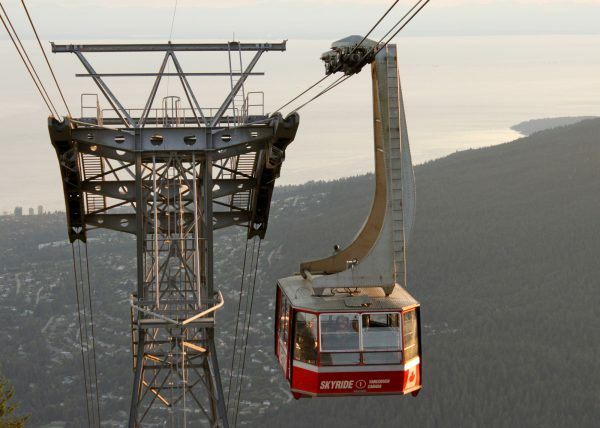 For example, Crown Mountain is already a fairly strenuous hike from the top of Grouse Mountain and it’s preferably done by taking the Skyride to the top in order to save your legs for the difficult trail. Other hiking trails worth exploring behind Grouse Mountain include Dam Mountain, Goat Mountain, and Thunderbird Ridge. The Sea To Summit Trail passes under the Sea To Sky Gondola. walk across the Sky Pilot Suspension Bridge to the Spirit Viewing Platform. free access to HikeFest, Friday Sunset Music Nights and more! The view of Howe Sound from Al’s Habrich Ridge Trail. If you’re a regular at doing the Sea To Summit Trail, then you’ll want to purchase a pass, however you will have to make sure to use the pass at least 8 times before mid-September compared with paying for a single $10 download ticket. The real value in the pass is being able to take the gondola up to the top and access some of the hiking trails in the back-country. The one with some of the most spectacular views is the Al’s Habrich Ridge Trail, which climbs onto several ridges offering incredible views of Howe Sound. There is also a very short trail that takes you to a lookout platform with a view looking down onto the Chief, which is quite spectacular. There are several other back-country hiking trails and there are plans to expend several of them as the Sea To Sky Gondola continues to grow each season. Whistler’s Peak Chairlift during the summer. Dates Valid: Valid May 21 – September 18, 2016 and weekends September 24 – October 10, 2016. Some restrictions apply. Rate is based on within 5 days season rate when booked 5+ days in advance. 360 Season Pass also gives you access to timed hiking – time your hikes and earn badges! 20% off espresso based beverages at GBB, Garbo’s Grill, Wizard Grill and Roundhouse Lodge. A view from the top of Whistler. Whistler is fortunate to have some of the best hiking in Southwestern British Columbia and being able to take the Whistler Gondola to the top enables hikers to enjoy the alpine terrain quite easily. The High Note Trail is spectacular and easily accessible by taking the Peak Chairlift to the top. Another area that was not previously easy to access is Blackcomb Meadows and the Overlord Trail as you can take the Peak To Peak across to Blackcomb or use the Blackcomb chairlifts, if they are running. While the hiking is amazing, the question is whether you can use the pass enough as the alpine hiking season is short with trails sometimes not being snow-free until mid-July and the pass only being valid until early-October. Timing your hikes is important too as the Gondola doesn’t open until 10am and closes at 5pm, limiting your time on the mountain, even on days with plenty of daylight. Have you purchased any of these passes and experienced some of the hiking in these areas? What was your experience like and what did you enjoy most? We have the locals pass for Grouse … love it. Its a quick drive from our house and we go up frequently just for beers and nachos (in the summer) while watching the sunset or to snowshoeing in the winter. Christmas is magical. Maybe one day I will be lured into the Grind or BCMC but for now, I just ride up and explore! !